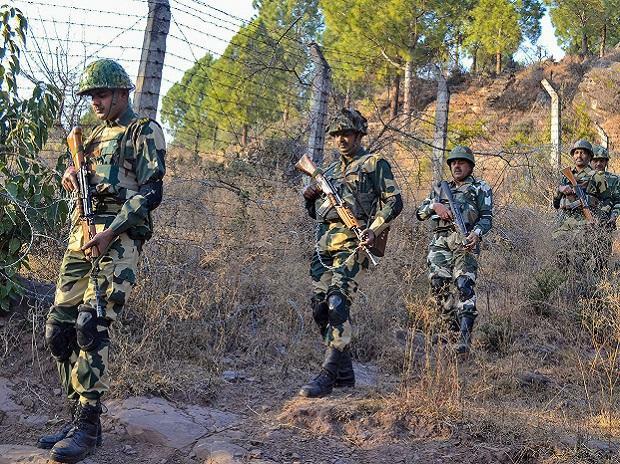 The first 'smart fence' pilot project, which entails deploying laser fences and technology-enabled barriers to plug venerable gaps along India's borders, is expected to be formally launched by Home Minister Rajnath Singh later this week, the BSF chief said Friday. Such gadgetry will be deployed along 2,400 kilometers of India's border with Pakistan and Bangladesh in the future, he said. "The first pilot project of the CBIM system or smart fence is already in place and working in Jammu. The home minister will formally launch it on September 17... but this is a tentative date. "On the eastern side in Dhubri, across the Brahmuptra, we have installed technical solutions on a stretch of 55-60 kilometers because there is no possibility of erecting a fence there," the BSF chief told reporters here. He said the border guarding force is using a number of latest gadgets and technology to technology-enabled this area on the eastern side. They have been integrated and a CCTV-like feed will be given to the border post and immediate action can be taken against any intrusion attempt. "This (Dhubri) is almost completed and likely to be inaugurated on September 27. These are initial phases. We have identified vulnerable areas along the borders and roughly an area of about 2,400-km has been identified for rolling out the CIBMS ultimately," he said. If we have to prioritise, then we will start with the borders with Pakistan, he added.